Friday is here and we are sharing our readers' favorite Royal Caribbean cruise photos so that we can all get into a "cruise mood" for the upcoming weekend! First up this week is a photo of an early sunset, as seen by Joe Moran on Freedom of the Seas. Our next photo is a peek into the Royal Promenade from Central Park. Photo by Kinny Lee. Iris shared this photo of Voyager of the Seas while docked in Penang, Malaysia. Check out this sunrise photo from the South China Sea, taken from the aft of Voyager of the Seas by Rudi Steinmetz. 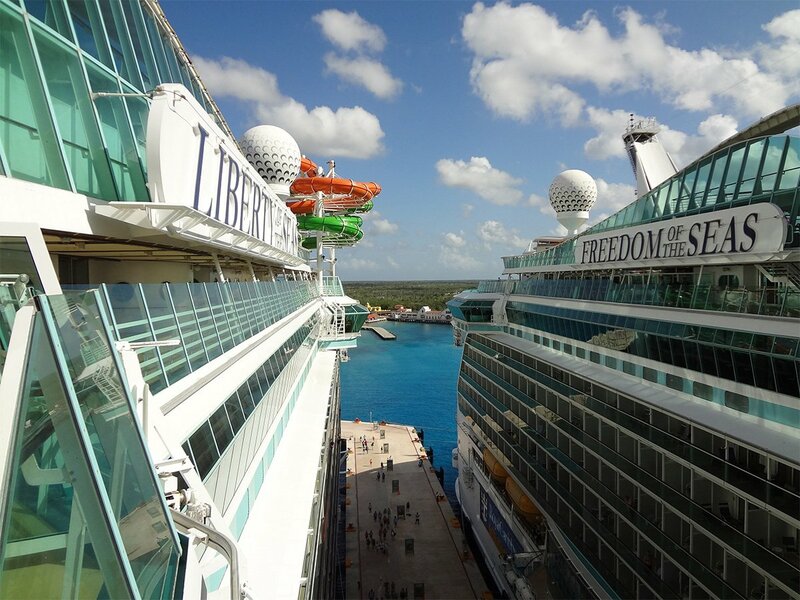 Kyle Ritch snapped this photo in Cozumel with sister ships Liberty and Freedom of the Seas docked near each other. Next up is a photo by Jolynn hartford of a beautiful day in Labadee. Our final photo this week is by Benedict Bellamy, and it is of Jewel of the Seas in Santorini. Thank you to everyone who shared their photos with us this week. As always, we welcome all of our readers to share their favorite Royal Caribbean photos by using this form to submit them. Have a great weekend! Royal Caribbean's newest cruise ship, Spectrum of the Seas, will have her conveyance down the River Ems on March 19, 2019 at 6:00pm. Spectrum of the Seas, is expected to leave Papenburg on Tuesday, March 19 and be transported on the Ems River to Eemshaven (Netherlands). The arrival in Eemshaven is scheduled for Thursday, March 21. After technical and nautical trials, Spectrum of the Seas arrives later in Bremerhaven. Spectrum of the Seas' conveyance will take the ship from Meyer Werft shipyard in Papenburg, Germany along the Ems River to the North Sea. All information is subject to the wind and weather conditions, the water levels and thus without guarantee. Time shifts are possible at short notice! The river conveyance is necessary because the Meyer Werft shipyard is located inland to avoid the North Sea's unpredicatability. Guests residing in New York State may no longer purchase Royal Caribbean Travel Protection/CruiseCare. As of February 5, 2019, Royal Caribbean stopped offering its form of travel insurance to New York Residents due to New York State regulations which applied to companies selling travel insurance. Royal Caribbean Cruises Ltd partnered with Aon, the service provider, to offer an alternative travel protection program for residents of all states, including New York, via www.travelcruisecare.com. This is effective and available immediately. 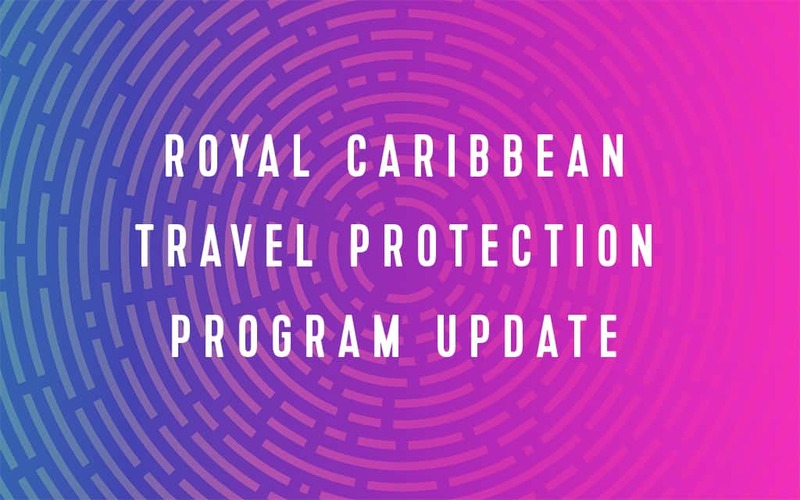 If a guest had Royal Caribbean Travel Protection/CruiseCare added to their reservation on 2/14/19 or prior, the benefit will be honored even if the Royal Caribbean Travel Protection / CruiseCare has not been paid in full. This new program can be purchased through www.travelcruisecare.com and will require 100% payment upfront. The certificate of insurance may look slightly different for the new product, but there will not be any other differences that would impact the guest experience. Royal Caribbean announces the remaining 2020-2021 Winter Caribbean itineraries today, which include new ship combinations and itineraries from Texas, Florida and Puerto Rico. Adventure of the Seas will call Texas home for the first time in 2020, becoming the largest ship sailing short getaways from Galveston. Adventure will offer 4- and 5-night to Costa Maya and Cozumel, Mexico. Adventure of the Seas will join Liberty of the Seas, which will be sailing 7-night Caribbean cruises year-round from Galveston (announced in Dec. 2018). Enchantment of the Seas will sail south for the winter to homeport in San Juan, Puerto Rico for the first time, following her summer season in Galveston. Sailing 7-night itineraries from San Juan, Enchantment will visit islands in the Southern Caribbean. 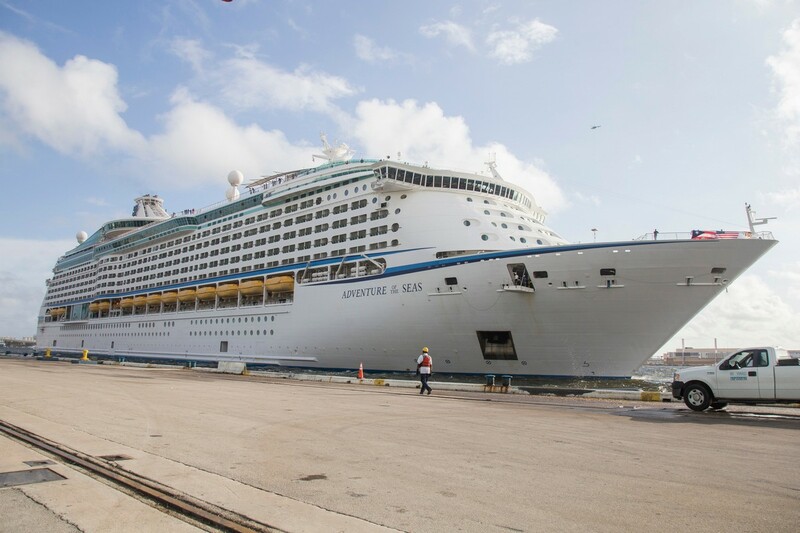 San Juan will continue to be the year-round homeport for Freedom of the Seas, which will be newly reimagined in March 2020 as part of the Royal Amplified fleet modernization program. Explorer of the Seas, fresh off her Royal Amplification, will sail from Miami and off 5- and 9-night cruises. Select 5-night sailings will visit Royal Caribbean’s private island, Perfect Day at CocoCay in the Bahamas. Independence of the Seas will return to Fort Lauderdale in November 2020, sailing 4- and 5-night short getaways to the Western Caribbean and Nassau, The Bahamas.. Vision of the Seas will be offering 10- and 11-night cruises from Fort Lauderdale to the Southern Caribbean. Rhapsody of the Seas returns to her longtime homeport of Tampa in 2020, and include a Panama Canal crossing. Rhapsody’s regular 7-night itineraries will call on coveted Caribbean destinations, including Grand Cayman, Belize and Mexico. Also returning to her homeport in Tampa, Brilliance of the Seas will join Rhapsody for the season, continuing a mix of 4- and 5-night sailings to the Western Caribbean, perfect for short getaways and first-time cruise vacationers. Seasonal winter Caribbean itineraries will be open to book the week of March 11, 2019. Crown & Anchor Society loyalty members will have access to book one day prior to the general opening date. This week's podcast episode is ready to go, as we present episode 293 of the Royal Caribbean Blog Podcast for your downloading pleasure. This week, Matt and Annette preview the plans for the 2019 Royal Caribbean Blog group cruise on Mariner of the Seas. In this episode, Matt and Annette look at the idea behind a group cruise, along with what special events are planned for the group cruise. Here’s the podcast page for Episode 293. And don’t forget to subscribe to the podcast via RSS or on iTunes! Take a listen and as always, let us know what you think! Please rate and review the podcast on iTunes and leave your comments below! 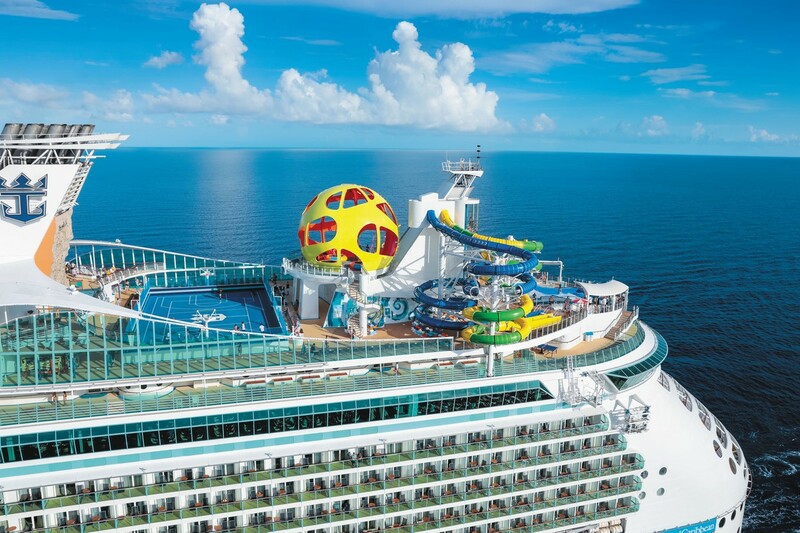 Have you cruised on Royal Caribbean's Navigator of the Seas? It may not be the newest or largest ship in the fleet, but Navigator of the Seas is a fantastic ship that just got a major refurbishment in 2019. Once onboard Navigator of the Seas, it is easy to see why this ship is a lot of fun. Here are five of the many reasons we love Navigator of the Seas. Featuring a Polynesian theme, the Bamboo Room is the perfect spot to chill and enjoy a cocktail or two. Between the South Pacific vibe and creative cocktails, the Bamboo Room seems to always be a great spot for taking advantage of a drink package. The Bamboo Room's menu of cocktails really stand out as special, and there is enough variety on the menu that you will almost certainly want to try as many as possible. There are even a few bites to eat too. It is easy for many bars or lounges to look all too familiar, but Bamboo Room certainly offers that je ne sais quoi appeal. Speaking of places to have a good time, the revamped poolscape on Navigator of the Seas is headlined by the Lime & Coconut. This three-level signature bar is a combination pool bar, party spot and place to be seen. From its prime spot near the pool, the first two decks offer guests the perfect drinks fit for any vacation. The third deck is a rooftop sun deck that is great at day or night. In fact, Royal Caribbean designed this space to not just be a happening spot during the day, but at night as well. Nightlife on Navigator of the Seas is not limited to indoor spaces. Without a doubt families will find lots to do on Navigator of the Seas. Royal Caribbean redesigned spaces for kids and teens onboard. This entails a reworked Adventure Ocean with plenty of space for free play fun, and a reimagined Living Room for teens with a backyard hideaway. If your family likes to try their skill, then head over to Studio B for a game of laser tag, where two forces face off in a battle for "Planet Z". Or, test your family's wit and determination with the escape room. You’ve only got 60 minutes to solve the mysteries of the latest Royal Escape Room challenge. A series of mind-bending puzzles and brain teasers must be completed before time is up. Be sure to also head up to deck 12 for a round of mini golf. The course has been updated and features some fun challenges. We love to indulge on any Royal Caribbean cruise with some great food, and Navigator of the Seas has plenty of it. In addition to the terrific food included with your cruise, there are a number of great specialty restaurants to consider dining at onboard. In 2019, Royal Caribbean added two new specialty dining options to Navigator: Hooked Seafood and Jamie's Italian. Hooked Seafood serves up New England-inspired dishes in a casual eatery that features lobster, muscles, and lots of great seafood all around. Jamie's Italian is not only the creation of celebrity chef Jamie Oliver, but it features a new menu to Royal Caribbean's fleet centered around rustic Italian recipes. Love sushi? Then you need to try Izumi for some fantastic creations that rival any sushi you have had on land. Chops Grille is known across the fleet for amazing steaks that are tasty, cooked to perfection and a fan-favorite restaurant. A terrific date night spot to be certain. Without a doubt, the main attraction on Navigator of the Seas are The Blaster and Riptide water slides. This water slide duo is going to be a must-do for anyone looking to cruise on Navigator. 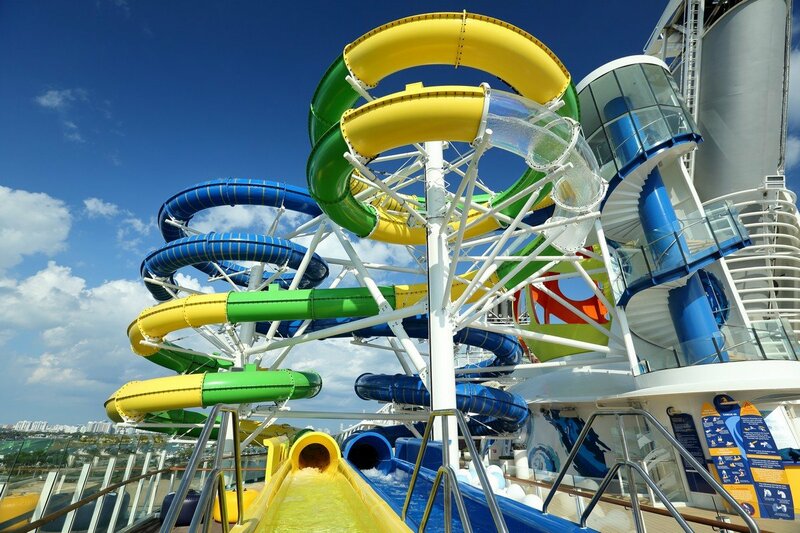 The Blaster is Royal Caribbean's first aqua coaster, and it is also the longest water slide at sea. You hop into a raft and race down more than 800 feet of dips, drops and straightaways that extend over the side of the ship. Riptide is also new to Royal Caribbean, and is the cruise industry's only headfirst mat racer slide that finishes off with a a very, very wet. Try to keep your eyes open for the views out the translucent tubes! What is your favorite thing about Navigator of the Seas? Is it on our list or do you have something you think is worth the cruise fare alone? Tell us about in this blog post's comments! 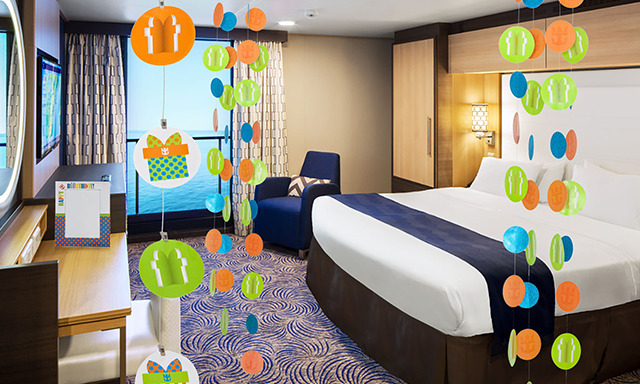 Guests can now pre-purchase stateroom decoration packages directly from the Cruise Planner website. 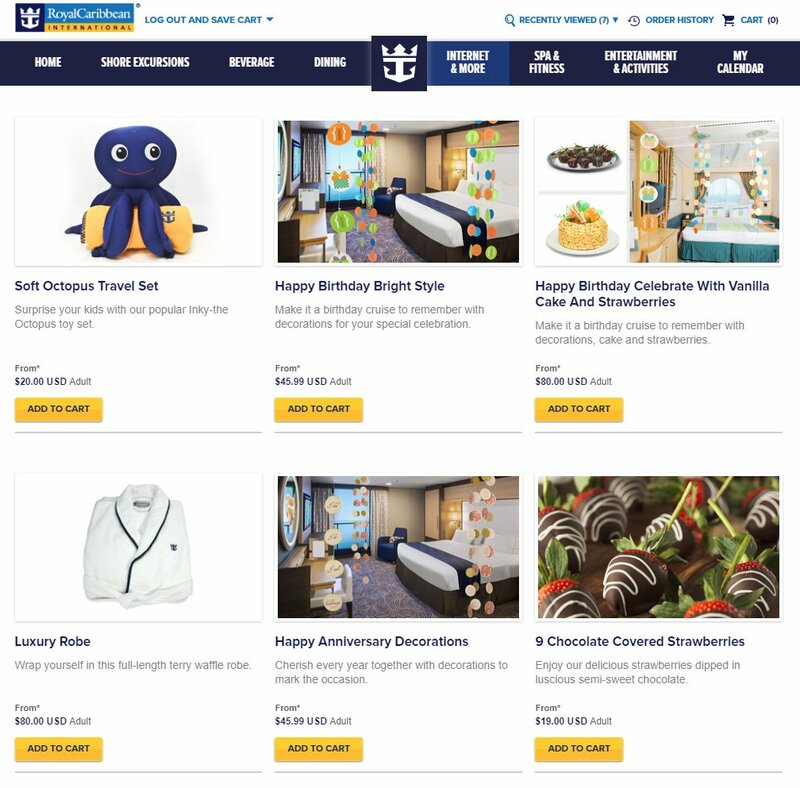 For years, Royal Caribbean has offered stateroom decoration options from its Gifts website, but the option to have the cruise line decorate your stateroom to celebrate a special occasion is now available via the Cruise Planner site. Located under the Internet & More tab of the Cruise Planner, Guests can choose between a variety of stateroom decoration motifs, including for a birthday or anniversary. The room decorations include door décor, mirror clings, photo frames and more. Royal Caribbean is now offering an expedited arrival option on about a half dozen of its ships that aim to get guests onboard quicker than ever. Step One: Download and check-in via the Royal Caribbean International app to obtain their mobile SetSail Pass. The app is available on the iTunes App Store and Google Play Store. Step Two: If eligible for Expedited Arrival (indicated on their mobile SetSail Pass), follow the Expedited Arrival signs at the terminal to pass through accelerated checkpoints. Step Three: Skip the check-in desk, scan their SetSail Pass at the gangway, and board the ship! It has been over ten years and a Royal Amplification since the last time I sailed on Royal Caribbean's Mariner of the Seas, but I am making up for lost time with not one, not two, but three sailings on her in a row! My sailings on Mariner of the Seas coincides with the first RoyalCaribbeanBlog Group Cruise of 2019, with a great group of fellow Royal Caribbean fans as we enjoy a back-to-back cruise experience on the feels like new Mariner of the Seas. I will share a daily update of everything I did onboard during this three- and four-night consecutive sailing from Miami, Florida. This is not my first time on Mariner of the Seas, but it has been quite a while since the last time we sailed on Mariner. Mariner was the ship my wife and I celebrated our honeymoon on, over ten years ago when the ship was sailing from Port Canaveral, Florida. No kids, no mortgage, and not even a Royal Caribbean blog back then! The reason for picking this cruise was about knocking a few things off our bucket list. First and foremost, Royal Caribbean has garnered a great deal of praise for the incredible upgrades made to Mariner of the Seas in 2018. Following a $120 million upgrade, the ship now features some really fun new features that our family cannot wait to try. In addition, we have never really done a back to back sailing, where we keep the same room and continue cruising after one sailing ends. As a cruise fan, that holds a great deal of excitement. Of course, we also picked this sailing for sentimental reasons and being able to return to the ship my wife I enjoyed so much a decade ago. This is not an anniversary celebration, but it does allow for a bit of reminiscing. It almost goes without saying that this is a group cruise too, which means we have a contingent of fellow Royal Caribbean fans joining me and I could not be happier. There is just something so fun about seeing friendly faces all around the ship, and being able to share in the experience in person is second-to-none. We reserved connecting balcony staterooms for this cruise, one for my wife and I, and one for my kids. I love my children and enjoy cruising with them, but we have learned that when it comes to sleeping and children, it is ideal to have a second room. Plus, it provides an additional full bathroom. Quite often I am asked by RoyalCaribbeanBlog readers for stateroom recommendations for families and I usually point out the two room option, in lieu of one large room for everyone. Two rooms provides more space and separation, as well as likely being more economical. Our rooms are located on deck eight and should provide exactly what we need for this sailing, a home base of operations for sleeping, showering and napping. With everything going on onboard the ship and in port, I do not anticipate spending that much time in our rooms. As mentioned earlier, we are booked three consecutive sailings, so we will experience one itinerary twice and an additional itinerary. A big part of picking this week to sail was about the idea of finally getting to try a back to back cruise experience. No one likes or wants their cruise to end, so the best part of a back to back cruise is that feeling of not being depressed at the end of the first sailing. Since we are actually doing three sailings, we get to experience that twice! As a cruise fan, I have read from others who enjoyed back to back sailings and I think it will be a nice change of pace to mix up what would have otherwise been a standard seven night sailing for the week. Without a doubt the enhancements Royal Caribbean made to Mariner of the Seas have caught our attention. 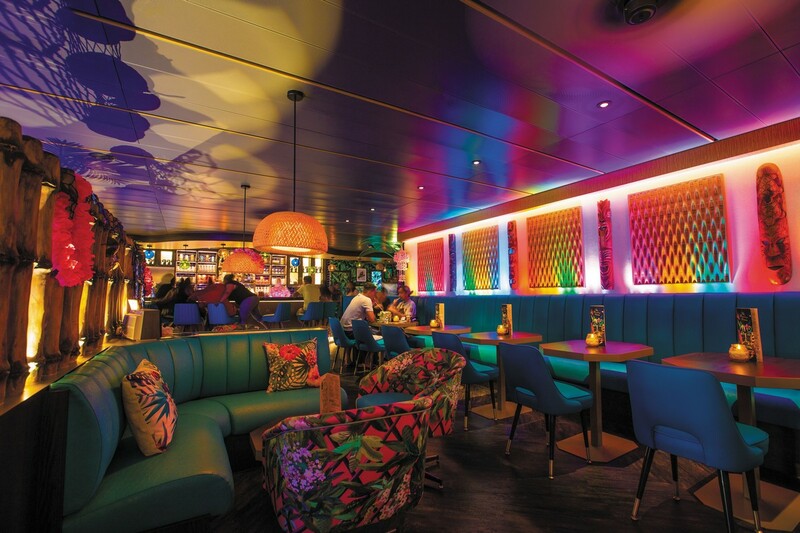 From the new water slides, to new dining venues, to bars, there is a lot to be excited for onboard Mariner. I think the fact we are doing a few sailings in a row will allow us to get a good opportunity to try as much of it all as possible, and we have already pre-booked a few of the new features. I am personally excited to try the Sky Pad, escape room, water slides and Bamboo Room. I am certain there will be other new favorites to discover once onboard. A huge appeal of these short weekend sailings is the opportunity to sail to Royal Caribbean's private destination of CocoCay. While the island is still in the process of being transformed into Perfect Day at CocoCay, I cannot wait to enjoy some simple relaxation time. If I am not mistaken, I have not been to CocoCay since spring break of 2017, so it has been quite a dry spell between visits to CocoCay (I seemed to have spent the better part of two years of cruising visiting Cozumel instead). With that in mind, we have cabanas reserved at CocoCay for the first leg of the sailing. In fact, thanks to our friends at MEI Travel, everyone who booked into our group for this RoyalCaribbeanBlog Group Cruise is invited to join us in the cabanas we reserved. Our Mariner of the Seas cruise begins on Friday, March 15th, and I will be sharing the details on the blog, as well as across my social media channels. Be sure to follow me on Facebook, Instagram and Periscope for live updates throughout the day. I invite you to share in this experience with me, by posting in the comments for any blog post questions and comments you may have. I try to make these live blogs as interactive as I can, so I want everyone to feel welcome to share their thoughts. Thanks for reading all of this and welcome aboard our next fun live blog experience! Happy weekend! We hope you remembered to Spring Forward! Here’s all the Royal Caribbean news this week! Royal Caribbean updated its deployment schedule for the remaining 2020-2021 sailings that not been released yet. The schedule was changed up a bit, with a few new releases added, including Odyssey of the Seas. The first batch of these deployments will be announced this coming week. Royal Caribbean won four awards in the 2019 Cruise Critic Cruisers’ Choice Awards. Our top 10 Navigator of the Seas hidden secrets. A new Cruise Planner sale began this weekend. We published a new video about the most important things to pack for a cruise vacation. Check out this week's batch of reader submitted photos. The 292nd episode of the Royal Caribbean Blog Podcast is now available, and it features a full recap of the changes to Navigator of the Seas. In this episode, Gina from CruiseCritic joins Matt to talk about what they thought of the changes to the recently amplified Navigator of the Seas. Please feel free to subscribe via iTunes or RSS, and head over to rate and review the podcast on iTunes if you can! We’d appreciate it. Bahamas Eyewitness News reports CocoCay is on track for a May opening. When Tara Met Blog shared tips for cruising on Independence of the Seas. Orlando Sentinel reported on the changes to Navigator of the Seas. Eat Sleep Cruise posted a new video that reviews Symphony of the Seas.